When the friends turned round, they were in for a shock. "Marco!" sighed Lapinette. "Signor Mengoni?" said the Wabbit. "I'm captivated by your singing meaow!" purred Skratch. "What are you doing here in the Late Tunnel?" asked Wabsworth from the back. "Perché tu sarai sempre il mio solo destino," said Marco, "voglio soltanto amarti senza mai nessun freno. *" "Nice of you to say so, Marco," said Nine the Tram. "Would you like some sand for your brakes?" Marco chuckled. "What am I doing here exactly?" "You've become entangled with us," said Lapinette. "It's a quantum thing." Marco wrinked his nose. "But I'm late for my concert." 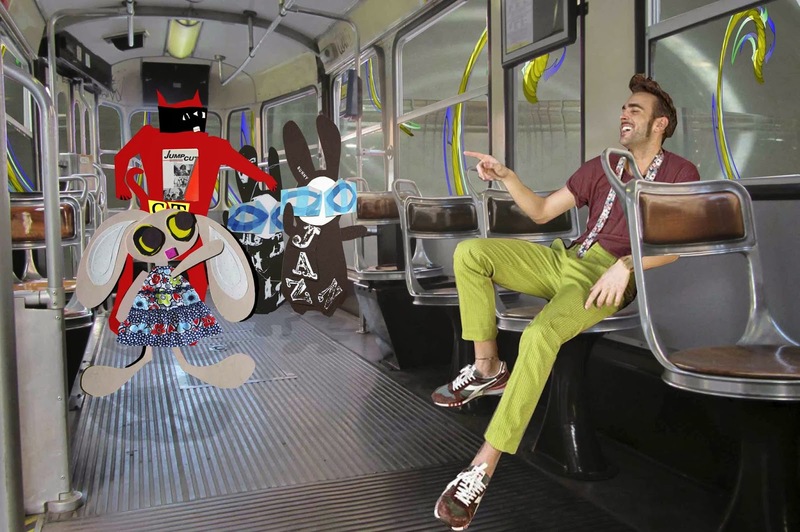 "Oh, don't worry," said the Wabbit, "you're in the Late Tunnel. You can just pop up later and no-one will ever know you were late." Wabsworth waved his paws urgently. "That's why we're entangled!" Marco looked round. "Who are these creatures outside?" "These are the reggae creatures!" said the Wabbit. "Reggae creatures? There's your entanglement answer!" said Wabsworth. Marco nodded and hummed a tune. "We feel it in the one drop; we're lucky!" "For we still got time to rap," harmonised the Wabbit. "And we making the one stop," meaowed Skratch. "And we fillin' the gap," sang Lapinette. "Che pazienza! *" muttered Nine.